Whether you decide to Pay Now, or Pay Later, you will be given a dedicated sales negotiator who will look after you throughout the sales process, so it will be easy to keep up to speed with the progress that we are making, right up to the completion of your sale. -Video Tour: £200 including VAT. This helps to promote your property, and usually reduces the number of unsuccessful viewings. -Viewing Package: £300 including VAT (note this is included in the Pay Later Option). Get the Bardens team to show potential buyers around your property. Please note all prices quoted are INCLUSIVE of VAT. Social media marketing - we have many followers on Twitter and Facebook! A sales negotiator who will help you secure the best result for your individual situation. Professional sales progression and chain management, reducing the risk of problems or hold ups during the sale process. What is the first step to selling my property? 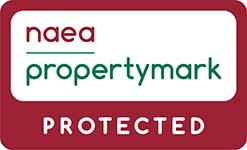 Get your property valued and appoint an estate agent. As a Royal Tunbridge Wells estate agents, Bardens offer a free no-obligation valuation so that you can get the process started. What if I change my mind and decide not to sell? You are always in control of the sale of your property. If you decide not to sell when your property is listed with Bardens Estates Limited, we'll simply remove the property from the property portals and stop marketing it. If you select our 'Pay Now' option, the sales fee will still be payable and we do not offer refunds if you decide to cancel your listing. If you have opted for our 'Pay Later' option there will be nothing to pay (unless the property transaction has reached Exchange of Contracts). How long will Bardens Estates Limted list my property for sale? We'll list your home for sale until it sells. Some estate agents limit the sales period to a year or less, but at Bardens we'll keep trying to sell your home until it sells. Our fees are one-off fees, so if you decide to relist your property with Bardens at a later date there will be no further charge. What can I do to make my property more saleable? Declutter – can potential buyers clearly see the size of each room? We all tend to accumulate possessions over time, but too many items in a room can make it seem smaller than it really is. Excess furniture or other items should be placed into storage for the marketing process. Who is the target market or most likely buyer of your property? If the buyer is likely to be a family for example, make sure that you present a family environment with a good mix of living space and bedrooms. Carefully consider the best use for each room, then make sure that this is clear to potential buyers. If a room is a bedroom does it have a bed in it? You may not want to undertake a major refurbishment of your property before it is put up for sale, but could some areas benefit from some light DIY/decorating? Are the internal colours relatively neutral? Thoroughly spring clean your property and tidy any outside space/gardens to make a welcoming environment. Is there anything else that you can do to improve the property’s kerb appeal? What is the advantage of having an optional video tour made (£200 additional charge)? There is growing evidence that buyers love virtual video tours. The tours can provide potential buyers with a great feel of your home. They can show key features, and show how a property flows. They can also help to highlight outside/garden space, and the general location of your property. The video tour not only helps to market your home, but it can also reduce the number of unnecessary viewings, as potential buyers have a much better idea of what your property is really like before they arrange to see it. How long is it likely to take for my sale to reach completion? That can vary dramatically depending on the individuals in the transaction and the broader chain (if there is one). It is possible for seasoned property investors to complete on a house purchase within a couple of weeks, although this is rare (and normally requires a cash buyer and no survey/limited conveyancing). The average time that we would expect a sale to take is between 8-10 weeks. Some transactions can take significantly longer than this however, for example if there are legal delays, survey problems or mortgage issues. In some (rare) cases it may suit both the buyer and seller to delay completion and so the whole process can take many months (one example we have experienced of this was when an investor agreed to wait while the vendor confirmed a place in a residential home). How can I reduce the risk of my sale falling through? You choose your conveyancing solicitor carefully (don’t just base the decision on price!) as a good solicitor can anticipate problems before they occur and can be proactive in making sure that they have everything that they need to move the sale towards completion. You choose your conveyancing solicitor and complete as much of the initial paperwork as possible BEFORE a buyer is found for your home. This will reduce the risk of delays, shows buyers that you are serious about the sale, and can help encourage buyers to get moving with their paperwork too. Try to be flexible about exchange and completion dates to accommodate the buyer. Respond quickly to solicitors’ questions and requests for information so that the sale can proceed smoothly. If you are also buying a property make sure that you take every step that you can to make sure that your purchase doesn’t delay the rest of the chain. What advice would you give on what solicitor/conveyancer I should use? Many sellers underestimate the importance of choosing a solicitor. It is tempting to choose a cheap online solicitor to do the conveyancing for you, but like most things in life you get what you pay for. The cheap online solicitors often try to mechanise as much of the conveyancing process as they can (that’s how they keep their costs down). This can be fine if the sale goes smoothly, but they can be difficult to contact or slow to react if problems develop. Alternatively, there are plenty of traditional solicitors in and around Royal Tunbridge Wells who are much more proactive in the selling process, but are not significantly more expensive. At what stage should I appoint a solicitor/conveyancer? We recommend that you do this early in the selling process, preferably before a buyer is found. Ideally you can also complete some of the initial paperwork to speed the sale process up, and to reduce the risk of the sale falling through. No, stamp duty is only paid by the buyer.